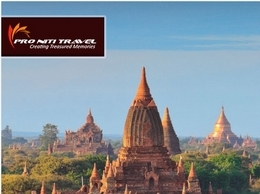 Pro Niti Travel offers customized luxury and adventure travel excursions focused mainly on culture, ethnic, and ancient history experiences which “Creates Treasured Memories” to their guests. Our travel experiences are about Exploring, Learning, and Discovery. A Celebration of Senses, great Moments, Indulgence and Sharing. We love crafting unique and personal journeys that make memories to last a lifetime.